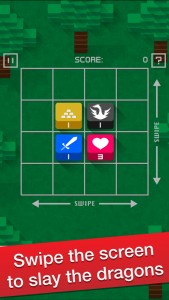 A Deep-thinking “Sliding Tile” Puzzle Game with Fantasy and RPG Elements for iOS and Android. Please download presskit(screenshots, icon, logo, cover art and press release document in a zip file [2MB]). Today, on June 26, 2015, Nagoya-based developer Iyoda released Sword & Dragon, a deep-thinking “Sliding Tile” puzzle game with fantasy and RPG elements for iOS and Android. 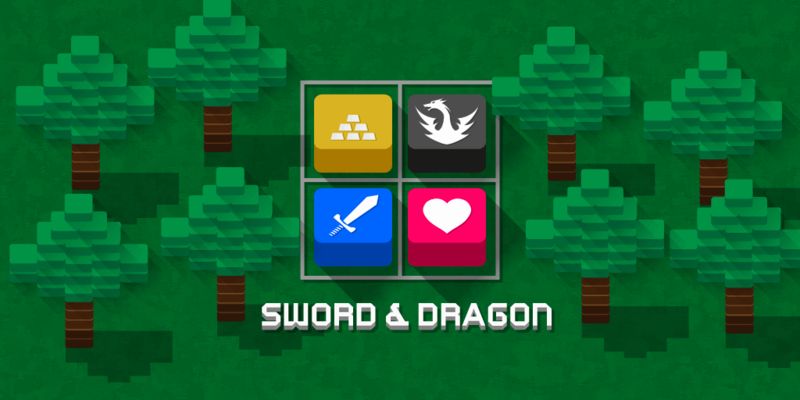 Sword & Dragon is a simple yet challenging puzzle game in which players slay dragons, protect hearts from dragons, and collect gold and gems by swiping the screen in four directions. 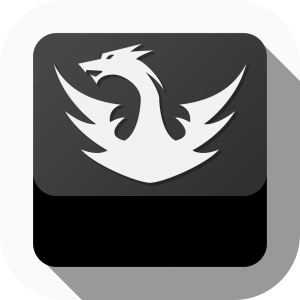 Sword & Dragon is a strategic puzzle game with simple yet stunning visuals. The rules are also simple: Swipe the screen in four directions to move all of the tiles in the direction of the swipe. 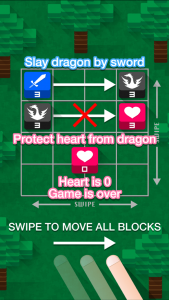 Simply slay the dragons (black) by slashing them with swords (blue) and protect the hearts (red) from the dragons. Players also collect gold (yellow) and gems (purple) by slashing them with swords. In addition, fortresses (brown) are stationary and act as obstacles. 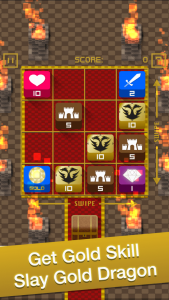 Since all of the tiles move simultaneously when the screen is swiped, players must attack dragons strategically, protecting the hearts from dragon attacks. It’ s also game over if the player is checkmated, i.e. all of the squares are occupied leaving no room for maneuver. So the rules and controls are simple, but the game provides an excellent challenge in terms of strategy. The starting tiles are different for each level, and the goal is to clear missions that increase in difficulty as the game progresses. There are 100 levels and 100 missions organized into the following six stages: the Forest Stage; the Desert Stage; the Glacier Stage; the Volcano Stage; the Castle Stage; and the Dragon Room Stage. At the Desert Stage, the number of moves is limited and the Glacier, Volcano, Castle, and Dragon Room stages feature stronger dragons, including the Ice Dragon and the Fire Dragon. 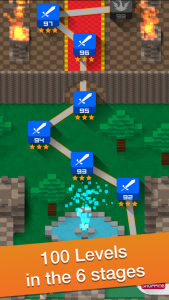 Here, players can enjoy the additional challenge of slashing skills tiles (blue) in order to slay special dragons with upgraded swords.